Writing and eating burrito. Tasting this morning giving me ideas on wine short stories, starting a collection… numbering the instances with one character, in either tasting room or some wine journalist that wants to do things a little different. You can probably guess which way I’m leaning. Was going o fast today, but the hunger more than just overtook me. It ordered me to eat as the writing will benefit. So of course I ordered from El Farolito and drove to get carne aside burrito, same as always-always. No one visiting winery so far but club member who knows me with her two friends, two sons. Too hot for people to want to come out and drive around Chalk Hill, taste, definitely to sit outside. Even in my drive I craved some Sauv Blanc, or Rosé, but no Rosé at Roth. New guy finds me in kitchen to ask a question. I answer then go back to thinking about these tasting room or wine writing stories…. 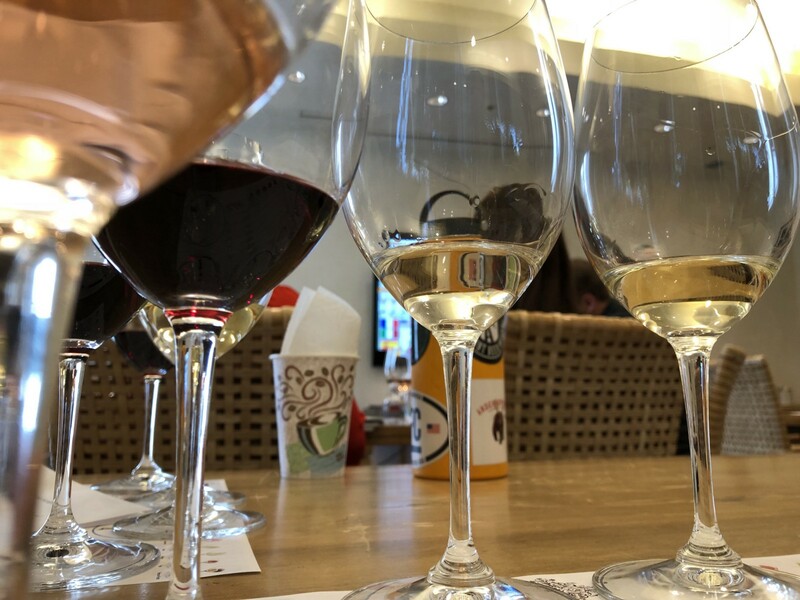 Writing about wine, after this morning’s tasting seminar, meeting or whatever it was that I enjoyed — Wine all around me and what wine has done to my story as a writer. Tasted through flight for day, earlier, after tasting across the street, but none of it tilting me any which way as I had that cosmic wooing coffee from Chalk Hill. I can only think of wine and the stories in it, getting to the winery early and in the room before the other tasters arrived, looking at the full glasses, taking notes on the scents and fragrant suggestions from each bowl. Tempted to pair something with this burrito, but I won’t. I’ll taste something out there when done, take notes… have to keep the words in their waterfalling cascade storm, all day. A book on wine, in less than a week. I’m sure I can.. I have to if I’m to get out of the tasting room. And, if you’re new to the industry, ‘It’s not wrong to want to get out of the TR, eventually.’ No matter what management says, or ownership, it’s more than okay to want more. If you don’t have the personality that dreams, that wants more, that sees more for self and is intent on getting it, then you shouldn’t be in the wine industry, period. Wine’s business and community is one not only written in dreams but build and found from them. Why some of these wineries want to keep you a tasting room associate, I will never know and I don’t care to know. I don’t want to be in that demonic denomination of headspace. And with writing about wine… where do I start. Where DO, I start? First, listing notes you may detect or taste in wine is NOT writing about it. Why does wine writing have to be so predictable and antithetically literary or journalistic? I have questions, concerns, but more so qualms with wine and how it’s written. As does this character I thought of this morning, Ronald Archer. He’s targeting the known way, the accepted placement of wine words to page. 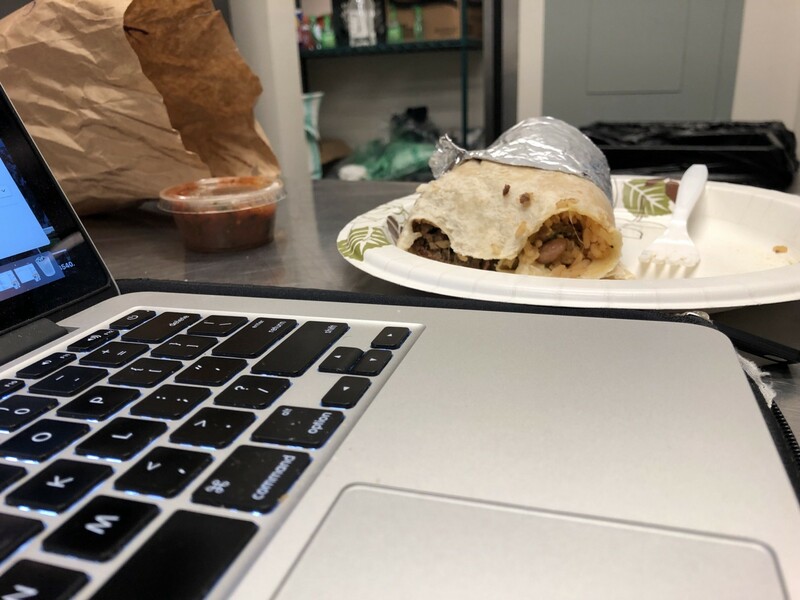 More writing than eating of the burrito…. Only 13 minutes left. I’ll note more later.